1. My Kindle :) I have started the Stephanie Plum series by Janet Evanovich and am now on Two for the Dough. 2. 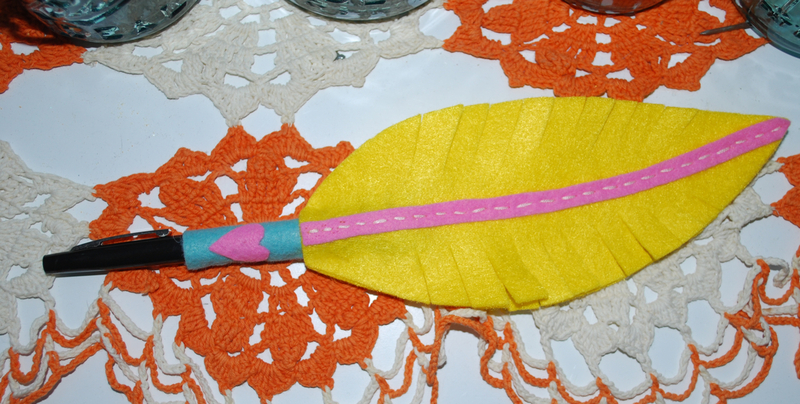 This adorable pen that Lindsay made me from a tutorial she found!! I love it so so much Linds!! 3. How great the pink looks crocheted between my granny squares! I had to find out if it looked good so I went ahead and crocheted to rows together and I love it! This is the tutorial I used for the joining! Tell me, what are three things that you are in love with right this second? Oh. 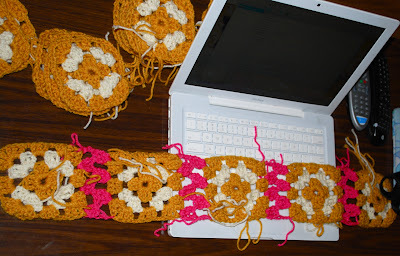 How did you do that connector between the granny squares? I'm making a granny square throw right now and I've no idea how to put them together (the last time I put one together I just crocheted the squares to each other and I didn't really love the look). Okay, so I now totally want a Kindle! Loving the look of the granny squares btw. I love my kindle, too....although mine's not near as cute as yours! I'm in love with my Ipad. My husband now is in love with my Kindle. I'm also in love with fall and my busy life that is full of such joy right now. I'm so blessed it's unbelievable. I'm so happy at this moment I could just burst. I hope you enjoy your Kindle and your reading. I love that pen and your squares. Oh my gosh! Where did you FIND that Kindle skin!? the stephanie plum books are amazingly funny. I think I stopped at hard 8 for now because i'm so busy with school. but her hamster rex inspired me to buy my hamster. His name's morelli. allysin- look down a couple of posts to the A Mili Monday post because I put the link to the skins there! xoxo-that story about your hamster Morelli, just totally made my day!!! 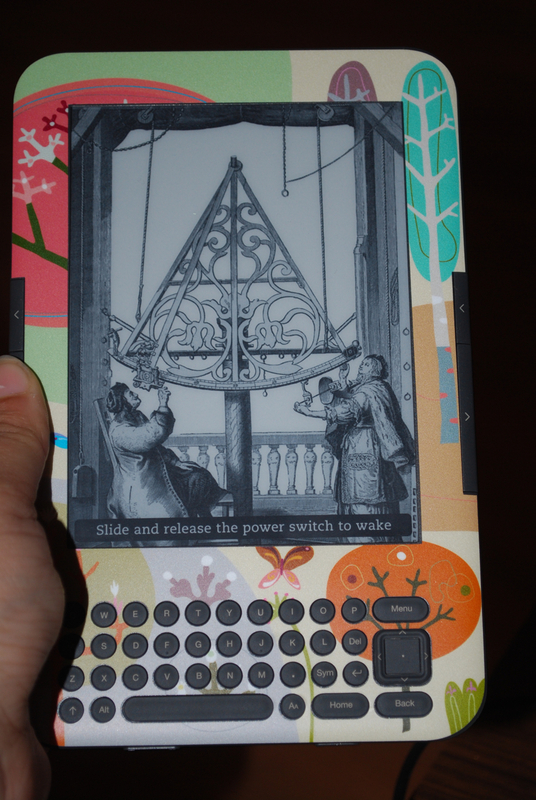 How in the heck did you get that super cute cover for your kindle?? I have an e-reader from sony & would kill for something cute like that!! !